very limited seats still available. are you ever going to do a workshop in hawaii? I would love some info. casmooney@yahoo.com Thanks! I will literally miss you in WA by days. Days! P.S. You'd get a ton of people for a workshop in Utah. If only you were waiting a few more weeks then we would see you in Washington and you could stay at our new pad. What?? Calgary but not Vancouver (BC)...you really know how to make a girl cry. BTW I love your blog and I think you are a great girl! 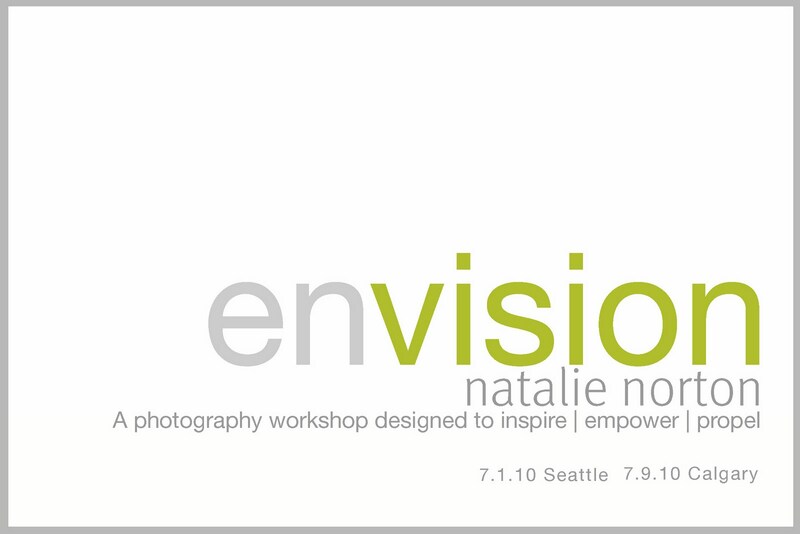 I'm LOVING your "Envision" poster for the workshop -- beautiful! I am loving your branding! Wanna come to the Caribbean and do one?.... Guess that's not such a treat living in Hawaii!! Ash! Thanks! You'll die when you see the rest of it. :)! natalie. you're cool, and i really mean it. SO exciting :) you will continue to touch so many!! thanks. your work is amazing and inspiring!! This is Poehere married to Tevita. We used to be your neighbors. LOL! I love your pictures. 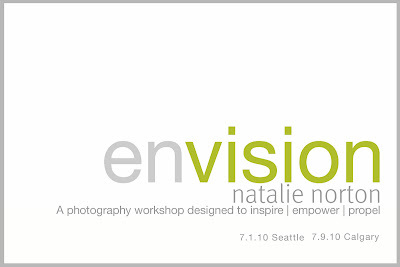 Whenever you'll have a workshop in Tahiti, let me know...I'll be the first one to book!!! P.S: Also love your contributions on DPS! Please come to SLC!? I know you have family here. I would TOTALLY attend your workshop! prety pretty please come to arizona soon! I want to do a worshop so badly with you!! !